A comparison of Harry Potter's journey through life to Joseph Campbell's concept of a hero's journey often seen in Greek mythology! Stay tuned for the rest of the novels! Harry leaves behind his life with his vicious aunt, uncle, and cousin in the Muggle World when he receives and reads the letter from Hogwarts School of Witchcraft and Wizardry asking him to enter the magical world on his 11th birthday. 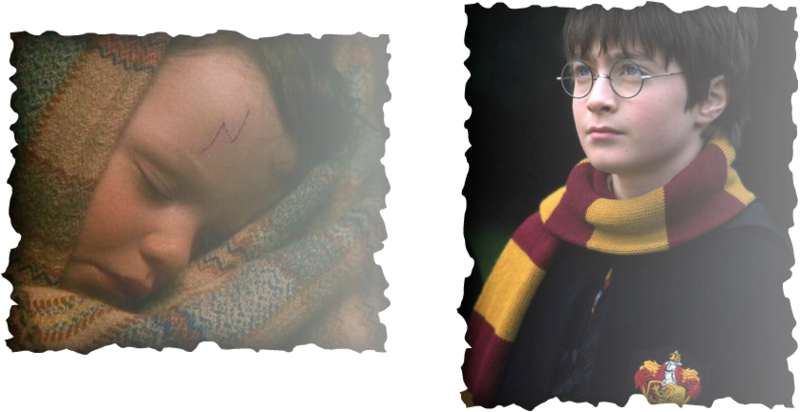 Harry has a number of friends and mentors who guide him along his journey. The most prominent among these are Dumbledore, Hagrid, Ron, and Hermione. Hagrid helps Harry begin his journey and introduces him to the magical world, assisting him throughout the course of the story. Harry must leave behind the Muggle World to enter the wizarding world. He crosses The Leaky Cauldron threshold with Hagrid and crosses the barrier to Platform 9 3/4 with the Weasleys. The final separation of the hero from his known world - Harry appears ready to transform and willingly enters with the help of the Weasley family. Once Harry enters the magical world of Hogwarts, he is faced with a series of challenges that test the strength of his character and ability. Some of the obstacles that he encounters include 'The Sorting,' performing magic, and making friends. Other more prominent trials Harry must overcome are Professor Quirrel's various antics in attempting to harm Harry, Fluffy, the three-headed dog guarding the trap door to the Sorcerer's Stone, and the chessboard. Temptations that Harry faces include joining Slytherin House, flying, and pursuing the Mirror of Erised. The rewards at the end of Harry's journey include the defeat of Voldemort, the protection of the Sorcerer's Stone, and the house cup victory. Harry does not want to leave Hogwarts because he does not want to return to the Dursleys and because he feels at home at Hogwarts. Harry Potter returns to the Muggle World on the Hogwarts Express. Harry travels through the entrance to Platform 9 3/4 and leaves the wizarding world to return to the Muggle World. Seeing the Dursleys marks his return to normal life. After completing his first year in the magical world, Harry has conquered life in the Muggle World and the wizarding world. He changes as a person and becomes a hero.